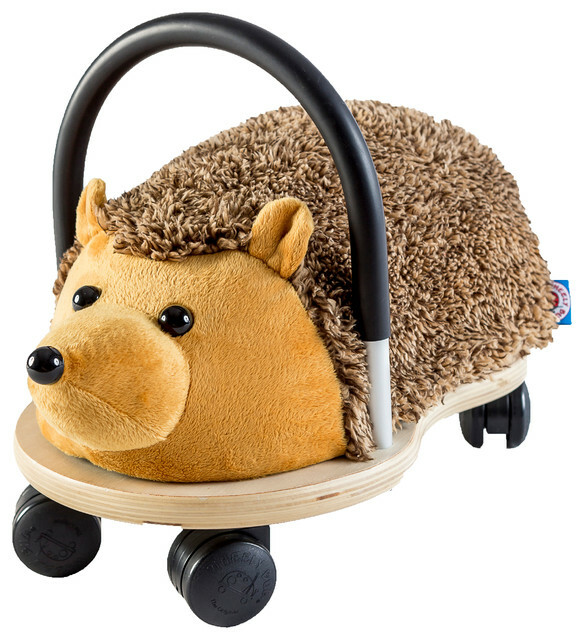 The award-winning wheelyBUG offers a fun, entertaining way to encourage gross motor skills and physical activity. Designed with kids in mind, a low profile, easy-to-grip handle, and 360 casters enable children to hop on and off by themselves, and move and spin using their legs without ever getting stuck in a corner. By providing unlimited mobility and the ability to maneuver around obstacles, the wheelyBUG grows naturally with your child's physical development and will continue to engage for years. W 12.38" / D 9.13" / H 15.5" / 4 lb.